Reddit is quite different from your traditional social media platforms. In fact, if truth be told, it is considered to be an intimidating as well as a peculiar platform. When you log into it, you may actually feel like you have logged into your email account, what with a list of messages waiting for you on the homepage. What’s more, there are said to be a lot of ruthless and harsh users out there which is why Reddit has seen its fair share of controversies. However, when it comes to generating some traffic to your website, nothing works better than this platform. Reddit was launched in the year 2005 and ever since it has grown into one big digital community. Here, the users submit their content in the form of a link which can be viewed by others. After reviewing the quality and the relevance of the content, the other users cast a vote in favor of or against it. This process is known as Karma. It is based on the Karma, that the content is ranked on the page. It goes without saying that only the best content with high Karma has a chance to make it to the opening page of the platform. Thus, if you really want to get some insane traffic, the key is to post relevant and high-quality content to the website. Reddit comprises of various communities that focus on a particular interest. These communities are termed as subreddits. Every subreddit is defined with a URL. In order to look for a Reddit marketing, you just need to type the term “subreddit” along with the word that you are looking for. So, if you are specifically trying to focus on a particular interest group, you need to create a winner subreddit. How Reddit marketing helps in Traffic Generation? Yes, Reddit does look like a complex platform. However, getting acquainted with it is really not that hard. Though it may seem a tad confusing at the onset, once you get the hang of it, it becomes the best tool to drive insane traffic, what with it boasting of about 51 million users and more than 1 million communities. Also, the bounce rate of Reddit is 25% which means the site seriously keeps its users engaged. However, getting high traffic requires some work on your part too. You need to be aware of where to look for the right people and then kick off a healthy discussion. Also, you will have to bring in some high-quality marketing content that will engage the users and urge them to give you high karma. 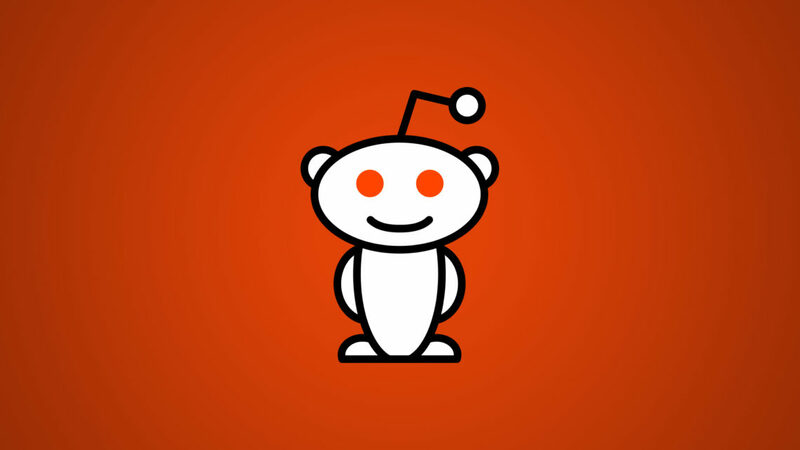 When it comes to Reddit marketing, it is all about choosing the correct subreddit and you are all set. So, let us take a look at how you can use Reddit to drive traffic and gain in the bargain. Now, don’t think that as soon as you join the Reddit arena, you can forth and start posting your content. The site users are said to seriously look down upon sales pitches. So, this means you need to be patient and embark on your Reddit marketing journey by participating in various discussions and forums. This is what helps in gaining the trust of the other users. Not doing this and straightaway jumping into market your brand is bound to bring in a lot of downvotes. Yes, this may seem a bit over the top but that is how Reddit marketing works. Now you also need to be sure that you and your content is not spammed. This happens when the content is posted with the name of a company. So, choosing a proper username on Reddit is of prime importance. Make sure to pick one that does not reflect your company name. As a participant, you are expected to offer some value to the community that you may be following. This is what will help you gain a positive reputation in your group. Once you have spent enough time participating in the various subreddits that you are targeting, go ahead and post content on these. You can get an idea of the popular content on each subreddit by clicking on the “Top” option. Remember that the top content will be diverse for different subreddits and you may have to alter your content based on their preferences. You need to keep posting on your target subreddits for about three to four weeks before you start mentioning your company. Of course, you can kick off a few discussions and share a few links but none of this should reflect your idea of reddit marketing. With continuous participation and posting, you can earn a positive Karma score. Once you get this, you can start mentioning the website. However, this too calls for some expertise. Get an idea by looking at how others do it. Since you have been part of the target subreddits for quite some time now, you would be well aware of what works in each community. So, your next goal is to create content that is relevant and in sync with each subreddit. Now, remember that the content has to alter from one subreddit to another. While in a subreddit just posting the link to your website would be enough, there would be others where you need to come up with a detailed piece and weave in the link within it. Failing to do so can win you down votes and negative comments. The key is to go through the highly voted content of other users as this will give you an idea of what is expected and what works in each subreddit. Now, that you are through with the initial hiccups, it is time to submit the link to your site. However, you are not done yet. Just posting a link is not enough. You have to make sure that the link submission is optimized as this is what will drive traffic to your website. By this time, you must be pretty sure as to whether you have to post a link or whether you need to embed it into a text post. The chances are that you may have to do both depending on the kind of subreddits that you may be targeting. No matter, what you plan to do, you have to enhance the visibility of your submissions. This is quite similar to the conventional content marketing strategies. Start off with a creative title which would urge the users to click on it. You can also tag your post which would help the users to identify what to expect. For example, you can tag it as an “Article”, an “FAQ” etc. Check out for the tags that are being used by other users and include the relevant one in your submission. Ask Me Anything or AMA is quite an intriguing concept on Reddit and one that can help you to drive traffic to your website. However, this can be done only once you have gained a reputation. Though all subreddits do not support AMAs, most of them allow these. It is quite identical to an interview where the Reddit users pose questions and you have to answer them. The deal is to give witty and interesting answers and drop in your website details in the midst of the discussion without seeming too obvious. When hosting an AMA, it is important that you answer all the queries in detail without holding back information. Reddit is full of passionate users. No wonder then that posts come across severe criticisms and downvotes. However, don’t let these deter you. Once Reddit users fall for a post, they can make it viral as well. So, just follow the rules and keep going. Remember that once your content starts trendinghere, you will drive a lot of traffic to your website.